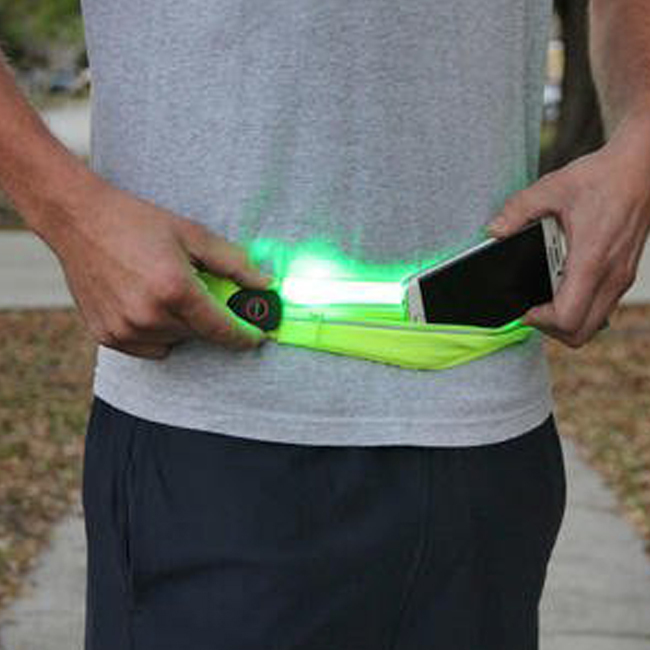 The FitKicks illuminating waist pack is great when going for a run or walk at night. 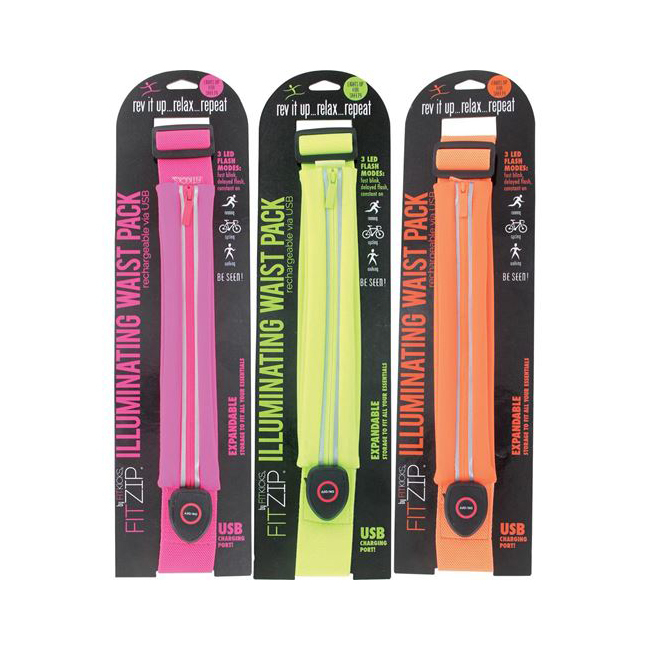 With 3 LED flash modes, a water resistant lining, flush-shut reflective zipper and an adjustable elastic belt, it is the perfect pack for carrying essentials. No batteries required - charge using the 2.0 USB charging port.